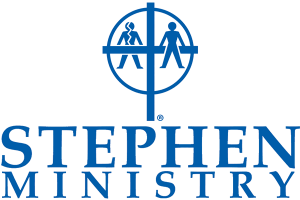 “When I was asked to consider Stephen Ministry, I prayed about it and asked God for his blessing and guidance. 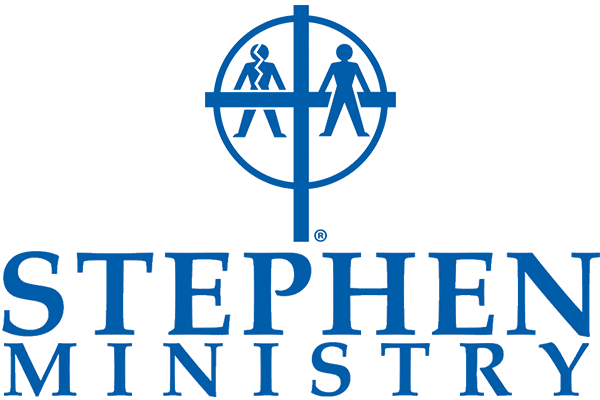 I researched the ministry and found it to be something that our community would benefit from. Fast forward to now and I realize not only is the community benefiting from Stephen Ministry, but the Stephen Ministers receive so much joy from this ministry. It has truly changed my life! There are so many people in the world who are hurting and don’t have someone who loves them unconditionally and non-judgmentally. When a Stephen minister is commissioned we find out from them what life experiences they have been through and they healed from so that we can pair them in some cases with someone who is suffering in a similar way. There’s nothing like talking to someone who can really understand what you’re going through. To see and experience the care receiver being healed through the hope and love of this ministry is something that’s really wonderful to me. As one of the four leaders, I meet with many people who are suffering, whether it’s the loss of a loved one, depression, loss of faith, divorce, unexpected illnesses, loneliness, etc. To meet them for the first time during their crisis, broken and sad, and then to watch their journey towards healing while the Stephen Minister is walking, brings amazing joy. You see God as the Caregiver; who brings healing to the lives of the broken-hearted and grace to the Stephen Minister. My first care receiver was going through such a tough time in her life. She was really struggling at the beginning. Just watching her progress of healing was amazing. Two years ago the relationship officially closed, but we still touch base maybe once or twice a month. The relationship has changed now; we’ve formed a bond of friendship, you can cross that boundary. When you’re in that one-to-one relationship the Stephen Ministers don’t talk about our lives because we want the care receiver to speak. But when that relationship has closed, the care receiver can say, ‘I’ve been with you all this time and you helped me get through my journey of grief. What’s your life like?’ It’s just a wonderful connection. Our Stephen Ministry members are family. I look forward to our gatherings whether we are meeting for our peer group meetings, continuing education sessions or social events. I can’t even express the joy and love we all feel when we are together. This ministry has opened my heart to so many special people. I truly treasure each and every one of them. Having that strong bond and connection to one another as Stephen Ministers is, I think, what really keeps the ministry going. I got involved with this ministry thinking that I’d be giving comfort and help to other people that are experiencing great pain. The ministry certainly meets that goal, but I never thought it would be such a blessing to me personally. I have much more trust in the Lord now than I did before this ministry. I feel that He’s much more present in my life. And then there’s the practical side of all the training. The training you receive to be a good minister makes you a better parent, a better spouse, a better buddy, because you learn to stop talking and listen. Perhaps the person’s spouse has passed away, or they’re facing a health crisis; we can’t fix these things, but by learning to listen we are able to help them. And when you bring that into your own personal life it helps you be better with everyone around you. The training was an unexpected blessing. As a leader I’m often asked to meet with people that may want a Stephen minister. I give them some information about Stephen ministry and make sure they’re a good candidate to have a Stephen minister. I met one person who was really going through an awful time in his life, emotionally, spiritually, physically. We assigned a Stephen minister to him. It was quite some time later that I met him again, and he seemed like a completely different person. He was so happy and so uplifted and in such a different shape. It lifted my heart to know that at least part of what brought him from where he was then to where he is now was this ministry that I am a part of. As a Stephen Minister, I’m able to be a nonjudgmental listener, somebody that walks with the care receiver through the very painful experience that he’s going through. We tell the care receivers we’re there for as long as you need us. That could be weeks, a couple months or years. The most meaningful part of it to me is that I can see that the person feels better just because I’m there listening to them. Without fixing their problem, without having some silver bullet to make the issue go away, just by being there and listening to them talk about the difficulties that they’re having, being there for them, caring about them and them knowing that I care about them, that helps. And that’s very rewarding.